MEET THE NEW GUY: Former Coventry Blaze forward Marc-Olivier Vallerand has returned to the Elite League with Sheffield Streelers. Picture: Scott Wiggins/EIHL. 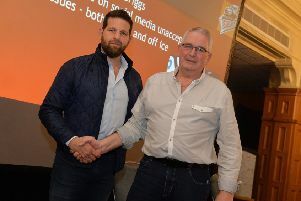 NEW BOSS Aaron Fox has wasted no time in starting to piece together his Sheffield Steelers roster for the 2019-20 season. At the same fans’ forum where it was revealed that Fox would be the South Yorkshire club’s new head coach and general manager after agreeing a three-year deal, supporters were also updated with news of new signings and those players that are remaining in place for next campaign. As expected, the British core – most of which will be heading to Slovakia to contest for next month’s World Championships – will remain at Sheffield Arena. Rob Dowd, Davey Phillips and Kieran Brown have all signed new, two-year deals, with captain Jonathan Phillips putting pen-to-paper on a new one-year contract. Steelers owner Tony Smith also confirmed on Tuesday night that British players Ben O’Connor, Jackson Whistle, Brandon Whistle, Jordan Griffin and Cole Shudra will all remain under contract. In addition to that, the Steelers have opted to take on another apprentice, with 16-year-old Sheffield-born forward Alex Graham being signed to an initial two-year contract. The teenager has caught the eye after being given an opportunity at neighbouring Sheffield Steeldogs under player-coach Ben Morgan, scoring 19 points in as many appearances, including 11 goals. Previously, and like 18-year-old Brown before him, Graham came through the Bradford Bulldogs junior ranks, before switching to Sheffield at the start of this season where he has graduated to the Steeldogs. Both Brown and Graham are currently away with Great Britain Under-18s in Hungary as they strive to clinch a medal in the Division 1B World Championships. 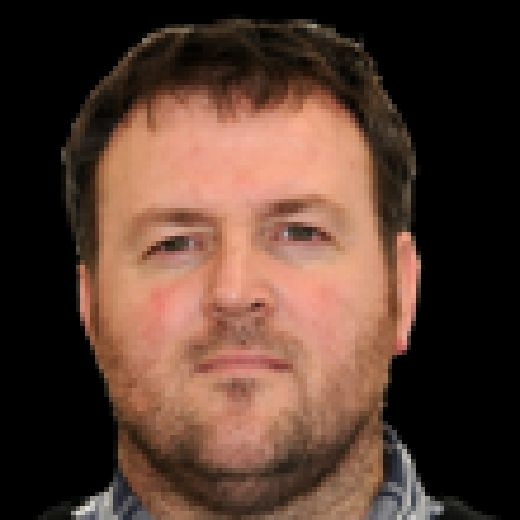 Fox has also moved quickly to snap up his first new face for the Steelers roster, with the signing of former Coventry Blaze forward Marc-Olivier Vallerand, while also being impressed enough with fellow winger Anthony DeLuca to bring him back after impressing when scoring 17 goals after arriving in November last year. Vallerand joins from EHC Lustenau of the Alps League where he scored 32 goals and 62 points in just 35 games last season, but Steelers fans may remember him from his time with the Blaze during the 2017-18 campaign when he plundered 34 goals and 65 points in 48 games. “Marco is a high-end goal-scoring winger,” said Fox. “He plays with so much pace and flair. On deLuca, Fox added: “I’m looking forward to having Anthony back next year with a full training camp and him having a good summer of training. He’s one of those guys who plays hard, with passion and feeds off the fans. We need guys who can score goals and think this is the first step in the right direction for us. “He is obviously a very dynamic offensive player and has an extra gear when he has the puck. His shot and release are top quality and I hope to get more out of his two-way game next year. STAYING PUT: Defenceman Davey Phillips has put pen-to-paper on a new two-yar deal with the Steelers. 'Picture: Dean Woolley.